An artist's interpretation of a Dyson sphere, made up of satellites that can collect energy from a star. One scientist thinks that future intelligent aliens might survive by collecting, storing and harnessing the power of stars. Dan Hooper, a senior scientist at the Fermi National Accelerator Laboratory in Illinois, outlined this concept in a new paper. He suggested that, over the next 100 billion years or so, an intelligent extraterrestrial civilization will likely become isolated and in need of power as the universe continues to expand. In the paper, Hooper explained that these aliens might need to use stars as an alternative energy source. 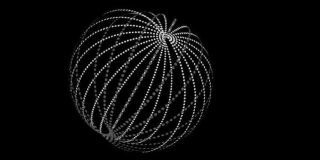 A diagram of a Dyson sphere as one might be constructed in our solar system. In his paper, Hooper expanded on this idea, saying that an advanced civilization could "use the energy that is collected to propel those stars toward the center of the civilization, where they will become gravitationally bound and thus protected from the future expansion of space." In a conversation with Space.com, Hooper revealed that he explored this wild, extraterrestrial possibility simply because he "thought it was cool and it would be fun." Although he just thought the concept was interesting, papers like this could serve a secondary purpose, Hooper said: Because his paper covers such a wild concept, it could get more people "excited about science, especially young people," and "the more people in our society are increasingly literate in the areas of science, I think this does a lot of good," he added. Still, people might dismiss the idea that an intelligent extraterrestrial civilization might "catch" stars to fulfill their energy needs. But according to Seth Shostak, a senior astronomer at the SETI Institute who was not involved with Hooper's paper, these people are "not thinking big enough." Because of dark energy, the universe is expanding, and this process continues to speed up, the paper noted. And "there's no limit on how fast space can expand," Shostak told Space.com. At least with humans, "almost all the energy here on Earth is a result of the sun … with the exception of nuclear energy," Shostak added. So, as space expands and stars grow farther away from civilizations, those communities would likely need to find a way to capture and store that stellar energy, whether such aliens are the squishy, gray variety we see in movies, or less-human-like machines, Shostak said. If intelligent aliens are anything like us, "they're going to run out of energy," Shostak said, adding, "I don't think there's anything crazy about that." Hooper noted in his paper that something like this would likely not happen for roughly 100 billion years. Within that time, because of dark energy, space would continue to expand enough to isolate a civilization, and such a civilization would also have to figure out how to build a Dyson sphere, Hooper said. The new paper doesn't say with any certainty that theoretical aliens could or will capture stars and harness their power. However, the idea remains theoretically possible if you factor in two major assumptions (not including the existence of intelligent extraterrestrial life): "1) a highly advanced civilization will attempt to maximize its access to usable energy, and that 2) our current understanding of dark energy and its impact on the future expansion history of our universe is approximately correct," Hooper wrote in the paper. The paper is uploaded to the arXiv preprint server.